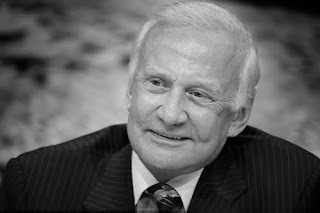 Omega’s 40th Lunar Landing Anniversary: Buzz Aldrin and the Omega Speedmaster Chronograph. 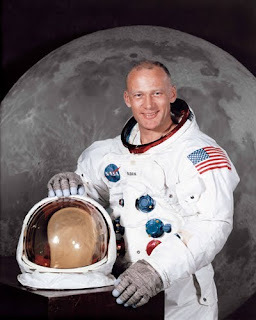 Edwin Eugene “Buzz” Aldrin was born on January 20, 1930. Buzz is an engineer, retired United States Air Force pilot and astronaut who was the Lunar Module pilot on Apollo 11, the first lunar landing. He was the second person to set foot on the Moon, following his mission commander Neil Armstrong. Aldrin was selected as part of the third group of NASA astronauts in October 1963 being promoted to back-up crew for the mission. According to different NASA accounts, he had originally been proposed as the first to step onto the Moon’s surface, but due to the physical positioning of the astronauts inside the compact Lunar Landing Module, it was easier for the commander, Neil Armstrong, to be the first to exit the spacecraft. Aldrin is a Presbyterian and an active freemason. After landing on the moon, Aldrin radioed earth: “I’d like to take this opportunity to ask every person listening in, whoever and wherever they may be, to pause for a moment and contemplate the events of the past few hours, and to give thanks in his or her own way.” He received Communion on the surface of the Moon, but kept it secret because of a lawsuit brought by atheist activist Madalyn Murray O’Hair over the reading of Genesis on Apollo 8. Buzz Aldrin joined Omega CEO Stephen Urquhart at Omega’s Flagship Boutique in New York last June in order to mark the anniversary of the lunar landing. He spoke about the importance of keeping and active speace tourism programm and, of course, lunar exploration, including artists and writers so that thet can reflect on the experience. Omega has been an active participant on NASA’s programs and, because of being moonlanding’s 40th anniversary, the wristwatch company focuses on its iconic Speedmaster Chronograph along with President John F. Kennedy (the one who promoted United States’ lunar landing. 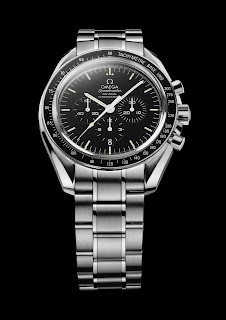 Man on the Moon: 40 years – Omega Speedmaster. A moon landing is the arrival of a spacecraft on the surface of a planet’s natural satellite and, in this case, it specifically refers to landings on the lunar surface of Earth’s Moon. The first human-made object to reach the surface of the Moon was the Soviet Union’s Luna 2 mission on September 13, 1959. The United States’s Apollo 11 mission was the first manned spacecraft to land on the Moon on July 20, 1969. 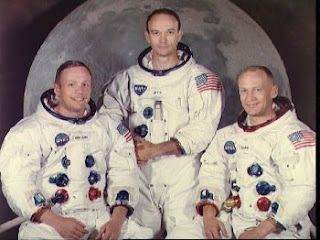 The Apollo 11 crew from left to right: Neil Armstrong, Commander; Michael Collins, command module pilot; and , Edwin E. Aldrin Jr., lunar module pilot. The Lunar Module “Eagle” consisted of two parts: the descent stage and the ascent stage. The descent state provided the engine used to land on the moon. 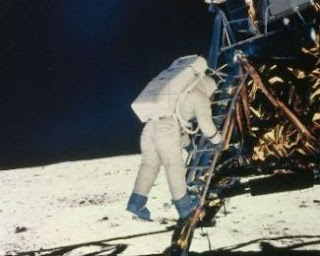 It had four legs, a storage area for experimental gear, and a ladder for the crew to climb down to the moon’s surface. The descent module also served as the launch platform for the ascent module when it came time to leave. The ascent module carried the crew back to the Command Service Module. To walk on the moon’s surface, the astronauts needed to wear a space suit with a back mounted, portable life support system. This controlled the oxygen, temperature and pressure inside the suit. The crew spend a total of two and a half hours on the moon’s surface. While on the moon’s surface, the performed a variety of experiments and collected soil and rock samples to return to Earth. An North American flag was left on the moon’s surface as a reminder of the accomplishment. First watch on the Moon and Mars only the sky is the limit. Exactly at 2:56 GMT on July 21, 1969, the landing of the first humans on the Moon is seen as Neil Armstrong said That’s one small step for man, one giant leap for mankind. After satisfactorily passing exhaustive tests designated by NASA, Omega Speedmaster was chosen as the first watch taken to the space. It was worn for intra and extra vehicular activities, including the moonwalks, on all the missions. During extra vehicular activities the astronauts wore the watch on the outside of their pressure suits. 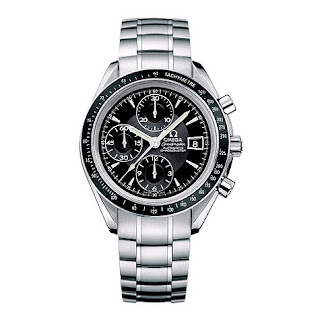 After that it became Omega Speedmaster Professional Chronograph, the first Moon Watch. It is still present on Shuttle missions nowadays. Today, on its way to the planet Mars, Omega’s Speedmaster X-33 is the pioneer of the space exploration. After 5 years of development and tests, Omega presented a new Omega Speedmaster X-33 watch in 1998, which is now flight-qualified by both NASA and the Russian space agency MIR astronauts and cosmonauts. It is also included as an item of standard equipment and is worn for extra-vehicular activity.